Peter J. Williamson is Professor of International Management at the University of Cambridge, Judge Business School and Fellow and Director of Studies at Jesus College Cambridge. 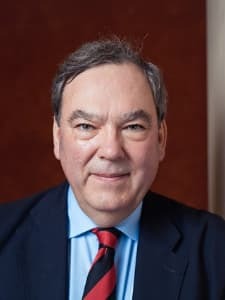 He earned his PhD in Business Economics from Harvard University in 1984 and has held professorships at London Business School, Harvard Business School and INSEAD (in Fontainebleau and Singapore). He joined Cambridge in 2007 where he created the innovative Advanced Leadership Programme which aims help CEOs craft responses to major changes in the global business environment ranging from disruptive new technologies to climate change and declining trust in business. Peter’s research and teaching interests have focused on: the impacts of globalization of knowledge on multinational enterprises; the nature and implications of the rise of emerging market multinationals; strategies and competitive advantages of Chinese companies; cross-border M&A; and business ecosystem innovation. Peter’s nine books include: The Competitive Advantage of Emerging Market Multinationals (2013); Dragons at Your Door (2007); Winning in Asia (2004) and From Global to Metanational (2001). His more than 60 articles have included publications in Academy of Management Journal, Strategic Management Journal, Journal of International Business Studies, Review of Economics and Statistics, Journal of Industrial Economics, Harvard Business Review and MIT-Sloan Management Review. A strong believer in trying to combine rigour with relevance, he is the recipient of a Sloan-PwC Award honouring those articles that have contributed to the enhancement of management practice. Much of his work is derived from deep engagement with companies and has been referenced in The Economist, The Financial Times, The Wall Street Journal, and The New York Times. Formerly with Merrill Lynch and The Boston Consulting Group, Peter has served for over 20 years as non-executive director or chairman of companies spanning renewable energy, textiles, hedge funds, whisky and software in Europe, USA, and China.